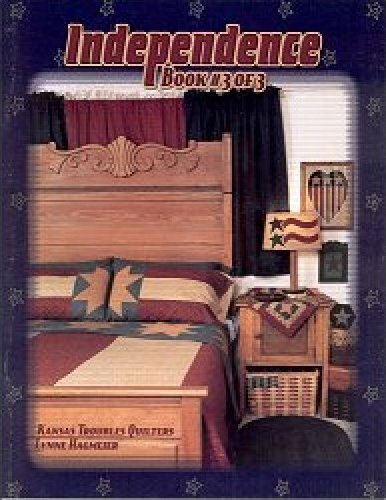 Book 3 of the Independence Quilt contains instructions for several of the blocks & appliqués used in this patriotic quilt plus special projects using each block. Includes the Star in the Cabin Block (10.5" square), Star in a Cabin Table Runner (11" x 32") & Wall Quilt; the I Love the USA Block (10" x 12.5"); Stars & Waves Applique for the Independence Quilt; Spangled Star Scissor Holder; Mega Stars Quilt & Mega Star Pillowcases (queen size) & Mega Stars Backingfor Independence Quilt along with assembly instructions. Celebrate this 4th of July with your own piece of Americana & fill your home with Independence!